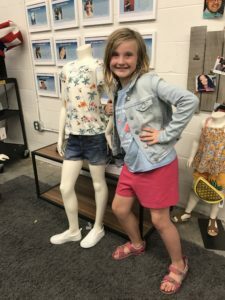 Together the girls have been planning and creating their own business! 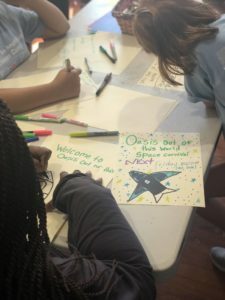 The first week of our two-week business camp session has involved learning the initial components of starting and running a company, including public relations, product design, marketing, financials, sales, operations, and even incorporating philanthropy. 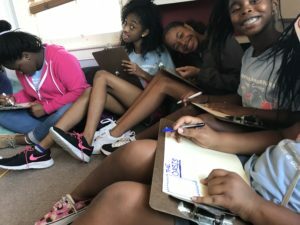 The girls learned from women business leaders in our community and decided on a plan to launch their enterprise next week. 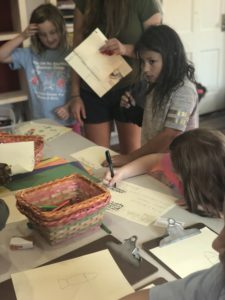 This week at camp is serious business, but there’s still room for creativity and fun! 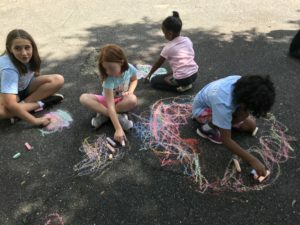 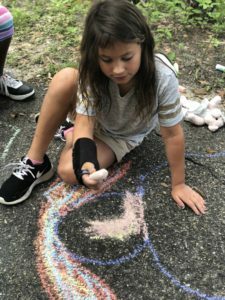 We enjoyed getting outside to start our week with some sidewalk chalk drawing. 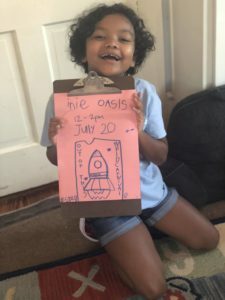 Our girls flexed their marketing muscles and designed logos and flyers to advertise their pop-up business – the Oasis Out of this World Carnival! 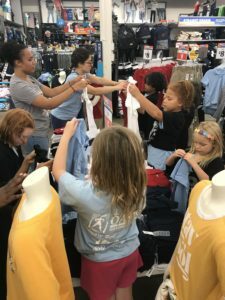 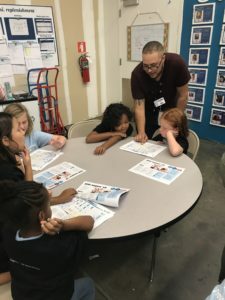 We took a field trip to Old Navy in Governors Square Marketplace and learned more about retail merchandising. 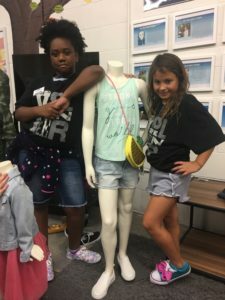 The girls learned about designing window displays, managing a retail business, and even worked in customer service! 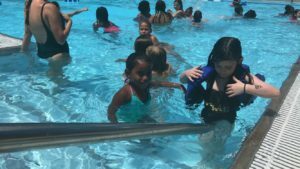 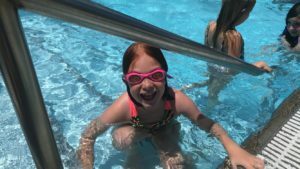 No week at camp is complete without a trip to the pool to cool off on these hot summer days! 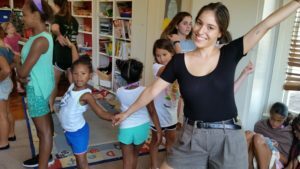 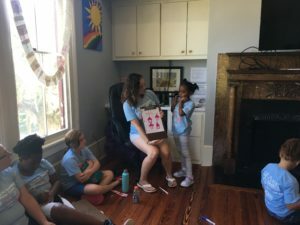 Every week at camp the girls learn about impactful women throughout history. 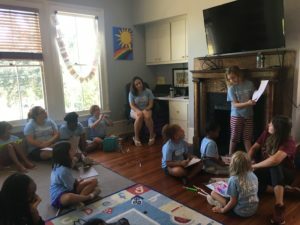 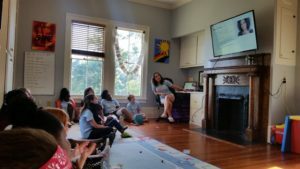 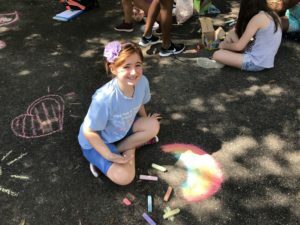 This week our campers learned about famous female entrepreneurs, and then had time to brainstorm their own product and business designs and present them to the group. 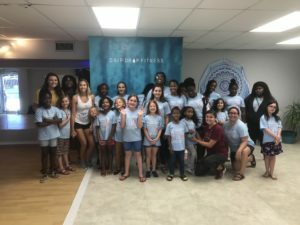 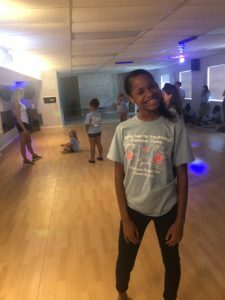 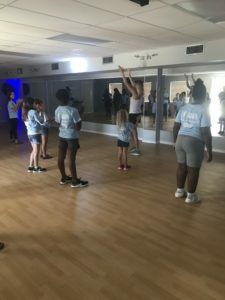 The campers took a trip to local fitness business, Drip Drop Fitness, learned from owner Summer Calenberg Griffith about starting a business, and additionally participated in a fitness class. 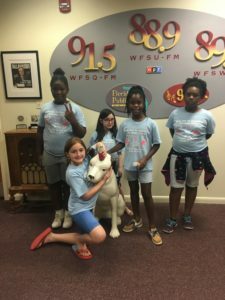 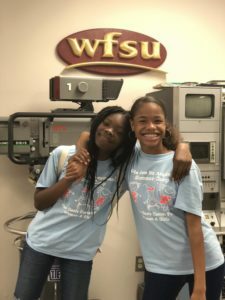 Our week came to a close with a field trip to WFSU. 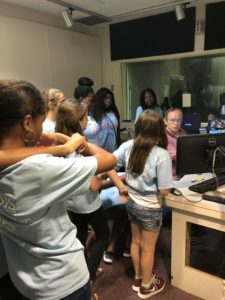 Our girls learned about the many aspects of a public broadcasting company, from TV to Radio, and participated in a tour of the building. 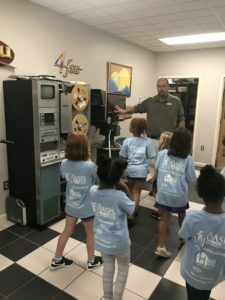 They got to see a lot of historical media equipment, including recording cameras, radios, and phones. 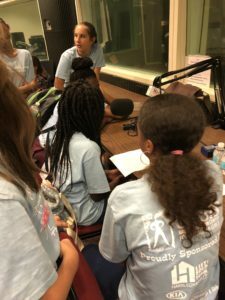 Furthermore, they had the opportunity to record a radio ad for our Oasis Out of this World Carnival pop-up business event! 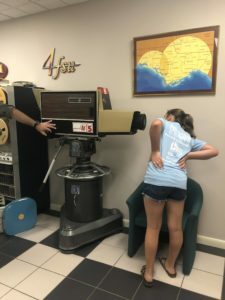 We have so much fun together that it’s bittersweet to see a week end. 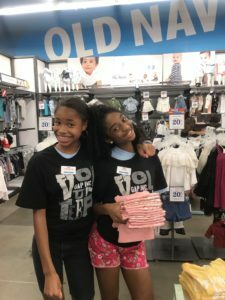 These amazing girls are dreaming big and doing big, and we’re glad to be a part of it. 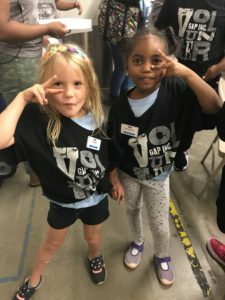 For Girls Mean Business! 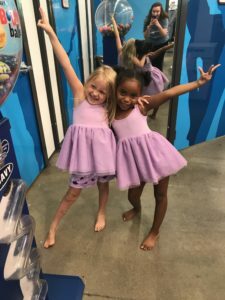 Week and every day, we’re proud to shout: Girls can do ANYTHING! 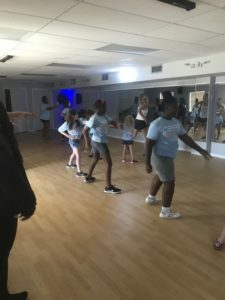 Thank you to our sponsors Kia of Tallahassee and Hamilton Realty for making our camp possible!